The 2016-17 year at Cooper Union brought positive change in many ways – we welcomed Laura Sparks as our first woman president, our financial stability improved through reexamining the budget and making difficult but necessary cuts, and the Free Education Committee continued its work in developing a strategic path back to free tuition. The results of our 2016-2017 Annual Fund reflect these positive developments. We see a growing commitment and generosity within the Cooper alumni community in support of our beloved alma mater. We offer our sincere thanks to all who donated to the 2017 Annual Fund. All annual fund gifts totaled $2,641,147, up 5% from the previous year. 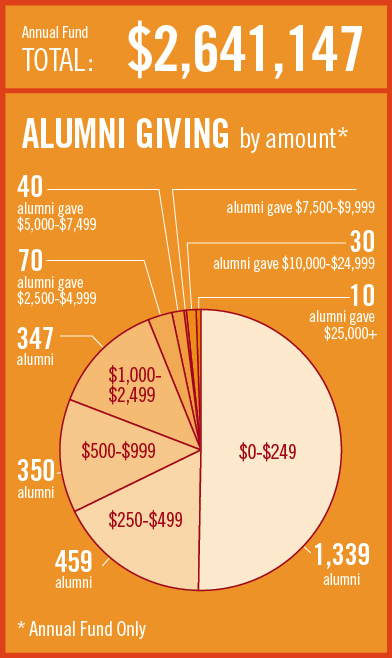 Alumni participation remained steady with 2,651 alumni donating, and we saw a substantial increase in the amount given by alumni. – Alumni donations to the annual fund totaled $1,939,232. A 12% increase as compared to last year, and a 26% increase as compared to 2015. 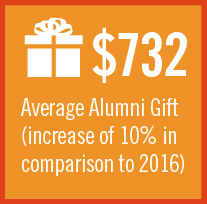 – The average alumni gift was $732, up 10% from 2016. – Alumni participation in the Innovators Society (donors who contribute at or above the $1,000 level to the Annual Fund) increased by 12% over 2016. 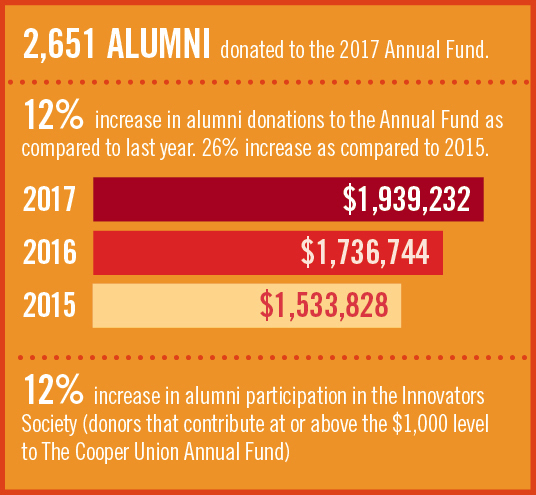 As confidence in Cooper’s leadership and direction returns, let us continue this positive trend in alumni giving for the 2017-18 year. We will be sending communications to alumni throughout the months ahead and we ask you to please consider making a tax-deductible donation to support this year’s annual fund. Your gift at any amount is greatly appreciated! The CUAA encourages support of the Annual Fund as the top choice for alumni, parents and friends interested in making donations to Cooper Union. An annual fund donation is unrestricted, making it a flexible and instantly available source of student funding, to be used when and where it is needed the most. Please click here to make your tax-deductible donation to the Annual Fund. This entry was tagged 2017 Annual Fund. Bookmark the permalink.